1 At approximately the above grid reference. Haseley Green (Windmill Field 1728 and Haseley Tithe map 1841). Medieval (or later). Post mill. 2 No recognisable surface features. The site of a windmill, possibly of Medieval or later date. The windmill is marked on maps of 1728 and 1841. 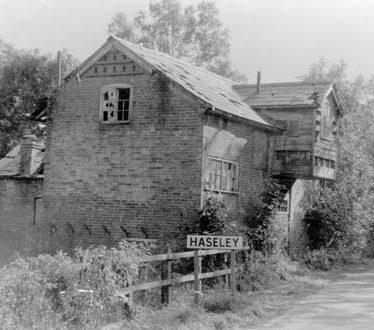 The site is located 400m south of Haseley Green. The possible site of an area of Medieval deserted settlement at Baddesley Clinton. The remains of the settlement are visible as earthworks. The site is located 100m north west of St James's Church. The site of Baddesley Clinton Hall, a manor house dating to the Medieval and Post Medieval periods. It is situated east of Kingswood. Medieval fishponds used for the breeding and storing of fish. They are well documented and still visible as earthworks, interlinked with leats and channels. They are situated at Baddesley Clinton Hall. The site of a possible settlement or field system which is visible as an earthwork on aerial photographs. The site is located 1km north east of Haseley. The site of Wedgnock Park, a Medieval deer park. It was situated 1km north east of the Central Hospital, Warwick. The possible site of Rykmersbury Medieval deserted settlement. The site lies 500m south east of Beausale. The site of Atherstone Friary, an Augustinian Friary that was built during the Medieval period. 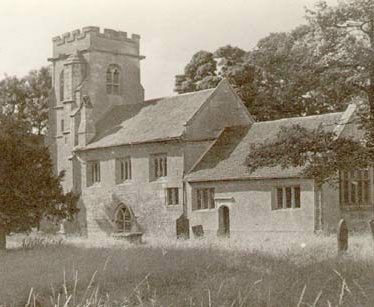 It was situated 150m south of Friary Road, Atherstone. The Parish Church of St John the Baptist. It was built during the Medieval period. Rennovations were carried out during the 18th Century. 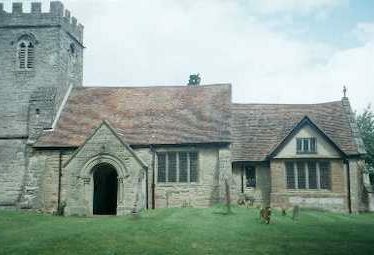 The church is situated on Church Road, Bagington.